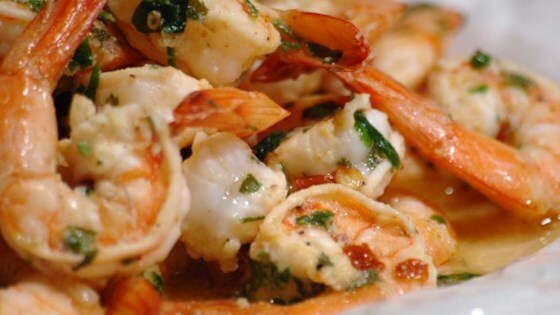 "Shrimp marinated in lemon, garlic, and parsley for 30 minutes, then grilled. Can be used as an appetizer or main dish. This recipe also works well with scallops."